The long overdue second part of my update, then. Although I'm hesitant to give it the usual kiss of death by talking about it publically, I've another story due for publication early/mid next year, courtesy of the good people of Insomnia Publications. By sheer chance I found out this UK based publisher was looking for submissions that were a little off-kilter, strange and different, which seems to be my bag (not just in my writing but, as anyone who knows me will tell you, just in my general personality). I dropped them a line, fired off my long suffering story, Butterflies and Moths, and waited. Thankfully I didn’t have to wait long before I got a response. Which was, that despite liking it, B&M didn’t quite fit within their portfolio due to its length as a 22 page story. However, the company was interested in a shorter piece which used the same characters, for an upcoming anthology called Layer Zero: Choices. Suitably, my choice was to re-write the script to 12 pages, or write something new. After mulling it over, I went with something new… and Butterflies and Moths: Fragile was born. And much to my relief, the script is nearly finished, too, in the final few stages of editing and rewrites. In the meantime, Insomnia's Creative Director, the lovely Nic Wilkinson, did several things which made me very happy. She officially announced the story's inclusion in the company's blogsite, the Redeye, in this entry: http://theredeyed.blogspot.com/2008/10/trick-or-treat-choices-from-insomnia.html, convinced the artist who did the original sketches for the first B&M to draw the story (take a bow Ariyana - yep, the same extremely talented young lady who's working with me on another story, the previous entry's A Twilight's Promise) and then made another official announcement in this entry: http://theredeyed.blogspot.com/2008/11/nightly-news.html along with the cover to the anthology. So, Butterflies and Moths: Fragile is coming to your shelves in 2009, through Layer Zero: Choices, all things willing. There's lots of things going on behind the scenes which are very promising, and this is hopefully just the start of that - I have a lot of plans in the pipeline as usual, after a far too long stint of moping and waiting and more moping. What's capped off the whole thing so far is that my friend, Matthew Gibbs, has also been signed up for Layer Zero with his excellent story, Erratum. Expect more on that as well, soon. Fragile itself will be talked about a fair bit in the coming months as the promotion for the anthology starts up, so I'll save my spiel for then, but I'll leave this section with a tiny bit of blurb and some artwork that Ariyana did for the original B&M which will be developed for Fragile. Hope you enjoy this tiny glimpse. What would you do if the one person closest to you asked you to do something that put her life and your soul in danger? What if the one person closest to you asked you to do the impossible? Before the strike of 12, Angelica Delapz opened her 18th birthday presents. On the strike of 12, she was imparted with another gift. My next bit of news. 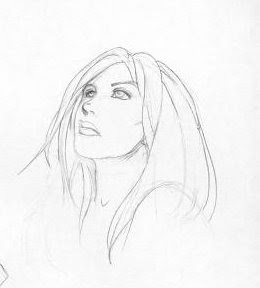 As stated in my last entry, I managed to become published again this year, reaching my self imposed goal of trying to get a piece of my fiction published every year from 2007 onward. In fact, I broke that goal and became published three times this year, with a fourth by the end of this month. Well, as you already know, my WipEout HD fiction was published last month. What you may not have known is that indie anthology comic series Tales from the Plex was re-launched as a monthly in November, which you may have noticed via the banner on the right hand side of this site. 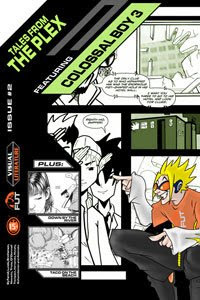 The book will run through the rest of 2008 and all of 2009, with a variety of different stories available each month. It's also the home of a comedy series I devised, called L33tspeak, which I've mentioned a couple times on here before, drawn by the lovely and wonderfully patient Stephanie O'Donnell, (not only the artist of L33tspeak but also the great talent behind the excellent The Original Nutty Funsters, a drama/comedy strip which is really starting to gather some much deserved attention after the release of the collection, A List of Grievances). Tales from the Plex will also be the place where A Twilight's Promise will be published, next year. Yay! 28 pages, black and white, RRP: $2.50. 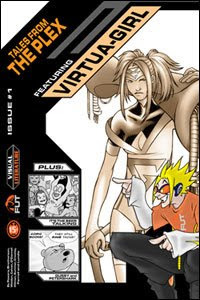 VIRTUA-GIRL by Chris J Powers & Matthew Weldon, IT'S THE BEER TALKINGby Russell Hillman & Sergio Calvet, L33TSPEAK by Corey Brotherson &Stephanie O'Donnell, CROW'S FOLLOW by Cassie Summer (illustrated byBrian J. Crowley) and GUSSY AND PETERSHARK by Jesse Farrell. I'll talk more about L33tspeak in coming entries, but Issue three of Tales from the Plex will be out later this month, alongside its publishing stablemate, The Darkling by Chris J Powers, a great monthly limited series about a young girl trying to find her way through life... by being dead. Oh, did I mention she's blue skinned vampire? And has to deal with some really, really weird stuff? It’s Bridget Jones meets Interview With The Vampire - a madcap fantasy comedy drama that's unlike anything else in the graphic novel medium. And that's me for now. Thanks for reading, as always. Good to see all the hard work being recognized. I'm not sure where your finding the time to do so much but makes it all worthwhile. I can't believe you didn't pimp it earlier! I just bought issues #1-3. Hoorah! Stephanie: My pleasure! 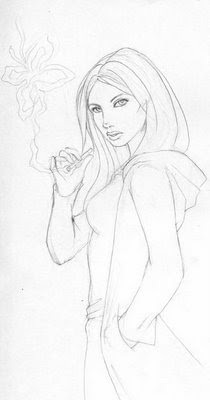 Sorry it took so long ;) And I'll be trying to get a few more L33tspeak stories in the can soon, hopefully ones that will actually be funny rather than me relying on your pretty pictures to distract readers from my lame scripts, lol. And you saw Jamie? Jesus, havent spoken to him in years. Which Tescos was it? Wow you totally smashed your goal three-fold, congratulations!!! The artwork - especially on Butterflies and Moths: Fragile you've shown there is particularly stunning. Great job Ariyana! Er, beggars bush. He looked exactly the same, only about 5 years older. Which isn't surprising, given that I last saw him 5 years ago. As for Jamie, is he not on Facebook or anything like that? What's he doing now?